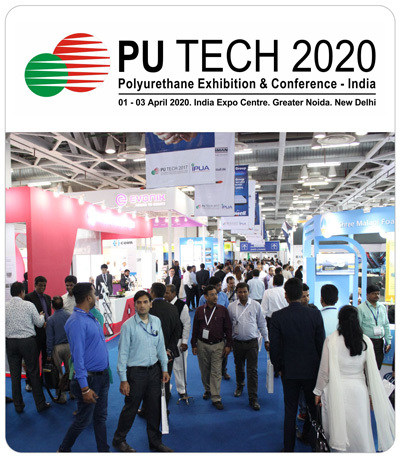 We, Indian Polyurethane Association (IPUA), have created a platform for our registered members to connect with or interact for, their requirements, with the other members listed on www.ipua.in. References to "you", "users", "your" shall mean the users (including Members, and third parties) accessing and using the information details and the Website. We may collect and store the following information in relation to the YOUR BUSINESS: When you register for an account and when you are listed on the Website, we collect your Personal Information, including but not limited to company name, company representatives name, address, establishment year, company ogo, constitution, company type, nature of the company, nature of business, subcategory of products/services, product images, head office, branches; company contact person,; region of business, state, city, area, expected business, other incentives, investment required, COMPANY REGISTRATION NUMBER, AFFILIATION TO INDUSTRY BODIES and any other details provided by you. The Personal Information also includes but not limited to your name, phone number, email address and home and business postal addresses. Where ever applicable, we may collect the Personal Information directly from your website, third party links or websites, information available on public domain. We may also collect and store information about your customers, employees or other recipients, it is possible that in this respect we could handle sensitive nformation. We do not use this information for our own purposes. Data: When you access Website, we automatically record information, this may include the information you search for on our Website, preferences, identification numbers associated with your devices, your mobile carrier, internet protocol address, operating system, browser type, and internet service provider, date and time stamps associated with transactions, system configuration information, physical system information, metadata concerning your files, and other interactions with the Services. The Personal Information is collected and used to: (i) provide and improve the content; (i), monitor user activity, such as keyword searches or new postings, and more effectively manage traffic on the Website; (ii) provide better INFORMATION create and manage User Accounts; (iii) assist you with technical difficulties; (iv) manage our relationship with you; (v) enable you to maintain network and connect with other Users of the Website; (vi) maintain and update our records (vii) monitor suspected fraud, misconducts and unlawful activities on the Website. Also, we may share with third-party service providers certain information, such as your browser capabilities or operating system, that we have collected in order to better understand which advertisements and services may interest you. We may set "cookies" on the use of the Services by Users. Cookies are small encrypted files, that a site or its service provider transfer to your devices hard drive that enables the sites or service provider s systems to recognize your device and capture and remember certain information. REGISTERED Members. We may provide Personal Information collected to the MEMBERS listed on the Website. For example, we may disclose Personal Information `of the ONE MEMBER to the OTHER Members, so that the Members may interact for their requirements or Services. Business Partners. We may use certain trusted third party companies and individuals to help us provide, analyses, and improve the CONTENT (including but not limited to data storage, website creation and maintenance, maintenance services, database management, web analytics, payment processing, and improvement of the Service s features). These third parties may have access to your Personal Information only for purposes of performing these tasks on our behalf. We may disclose your Personal Information to THE THIRD PARTY who perform business functions or hosting services on our behalf and who may be located outside of India. Joint Marketing Arrangements. Where permitted by law, we may provide Personal Information to joint marketers with whom we have a marketing arrangement, if any. We shall require all joint marketers to have written contracts with us that specify appropriate use of your Personal Information, require them to safeguard your Personal Information, and prohibit them from making unauthorized or unlawful use of your Personal Information. Persons Who Acquire Our Assets or Business. If we sell or transfer any of our business or assets, certain Personal Information may be a part of that sale or transfer. In the event of such a sale or transfer, we will notify you. We will retain your Personal Information for as long as your User Account is active or as needed to SHARE THE INFORMATION or as long as you are listed on the Website, as the case may be. We may retain and use your Personal Information as necessary to comply with our legal obligations, resolve disputes, and enforce our agreements. Consistent with these requirements, we will try to delete your information quickly upon reasonable request. Please note, however, that there might be latency in deleting information from our servers and backed-up versions might exist after deletion. In addition, we do not delete from our servers files that you have in common with other users. Since we value your Personal Information, we will ensure an adequate level of protection. We have therefore implemented technology and policies with the objective of protecting your Personal Information from unauthorised access and improper use and will update these measures as new technology becomes available, as appropriate. All Personal Information is securely stored within www.ipuatc.com. As a matter of security we take back-up of systems periodically. Although we provide appropriate firewalls and protections, our systems are not hack proof. Data pilferage due to unauthorized hacking, virus attacks, technical issues is possible and we take no liabilities or responsibilities for it. You are responsible for all actions of your User Account and password. Therefore, we do not recommend that you disclose your password to any third party. If you choose to share your User Account and password or any Personal Information with third parties, you are solely responsible for the same. If you lose control of your password, you may lose substantial control over your Personal Information and may be subject to legally binding actions. Our Website is not aimed at users below the age of majority according to the jurisdiction, to which they are subject Any visitor, who is not a Member of the Website, shall be able to access the Website but will not be able to view the Member s Personal Information available on the Website. We may automatically collect non-personal Personal Information about you such as the type of internet browsers you use or the Website from which you linked to our Website You cannot be identified from this information and it is only used to assist us in providing an effective Service on this Website. We may from time to time, supply third parties with this non-personal or aggregated Personal Information for uses in connection with the INFORMATION and this Website. We are interested in your views, and we value feedback from our Members, we therefore have set up blogs and chat rooms for providing better INFORMATION and to receive your feedbacks. However, we cannot control and be responsible for other parties use of the Personal Information which you make available to them through this Website. We encourage you to be careful about what Personal Information you disclose in this way. Subject to any applicable law, any communication sent by you via the Website or through the blogs chat rooms or otherwise to us (including without limitation contents, images, audio, feedback etc. collectively "Feedback") is on a non-confidential basis, and we are under no obligation to refrain from reproducing, publishing or otherwise using it in any way or for any purpose. We can use the Feedback, including without limitation any ideas, inventions, concepts, techniques or know-how disclosed therein, for any purpose including without limitation developing, manufacturing and/or marketing Services. You agree you will not assert any ownership right of any kind in the Feedback (including without limitation copyright, patent, Trademark, unfair competition, moral rights, or implied contract) and you hereby irrevocably waive the right to receive any financial or other consideration in connection with the Feedback, including without limitation your acknowledgment as the source of the Feedback. Your submission of any Feedback shall constitute an assignment to us of all worldwide rights, titles and interests in all copyrights and other intellectual property rights in the Feedback. For this reason, we ask that you do not send us any Feedback that you do not wish to assign to us, including any confidential information or any original creative materials. You shall be responsible for the content and information contained in any Feedback sent by you to the website or otherwise to us, including without limitation for its truthfulness and accuracy. In case you need to access, remove, review, and/or make changes to the Personal Information that you have provided to us, you will have to send those modifications to us for uploading it on the Website. If you register or respond to advertisements or posts on the Website or post any content on the Website, we may send you certain notifications, newsletters, advertisements and specials. We may also send you any legally required notifications, including but not limited to, notices regarding a change to any of our policies. For example, we may send you a notice regarding server problems or scheduled maintenance to the Website. In order to opt-out of receiving these notices, you may need to deactivate your User Account. You can opt out of certain e-mail communications from us, including our Newsletters, MAGAZINES if any, advice on networking on the Website, notifications that a Member has commented on your posting, and notifications that you can refresh your posts. We will not change your preferences without your consent. We recommend that you check the policy of each website you visit to better understand your rights and obligations especially when you are submitting any type of content on those third party websites. Please contact the owner or operator of such website if you have any concerns or questions. You may wish to participate in social media platform hosted by us which we make available to you, at our discretion. The main aim of the social media platform is to facilitate and allow you to share content. However, we cannot be held responsible if you share Personal Information on social media platform that is subsequently used, misused or otherwise appropriated by another user. You agree to indemnify us and hold us harmless from and against any claims arising out of or relating to: (i) Personal Information and contents that you submit or share for the Services; (ii) your violation of any rights of any other person in connection with the Website. Any dispute arising between us shall be governed by the laws of India and courts of law at New Delhi shall have exclusive jurisdiction over such disputes.